Google launched it's Pixel 2, the successor of the inhumanly Top-notch Google Pixel. Pixel 2 made a buzz when Google announced in the starting of 2017 to launch it. The phone launched while creating a lot of fuss of the smartphones of almost same range. Google once again relied on the HTC's quality which really seems well. But, will Pixel 2 have the taste of success just like Pixel or even more? Pixel 2 surpasses all the latest flagships with its solid performance coupled with stock Android. Getting 98(Highest till date) points from DxOMark is not surprising as when Pixel was launched it too broke the best camera records. Pixel 2 makes it to the best camera as of now defeating Samsung and iPhone 8 in having just a single camera with Autofocus with laser, dual pixel phase detection, optical image stabilization (OIS) and a much wider f/1.8 aperture for camera. Phone looks sturdy and simple, though the design may look old fashioned to some but its still a beauty. The FHD AMOLED screen with protection of Gorilla Glass 5 makes it even hard to get easily spoiled. The 2700 mAh juice with turbo charge makes it run well the whole day. And with Google's brand, you'll get almost unlimited updates to latest android very very fast. Above such amazing qualities, there are some minor things which are good too, like - Name that tune (Pixel automatically displays song info so you know what's playing) and squeezing on the sides to prompt the Google Assistant. With such clear cut features there are some minus points too, like absence of 3.5 mm audio jack(mostly unavailable in latest smartphones) and no support for FM without internet. and yes, the huge bezels have just 67.9% screen to body ratio. 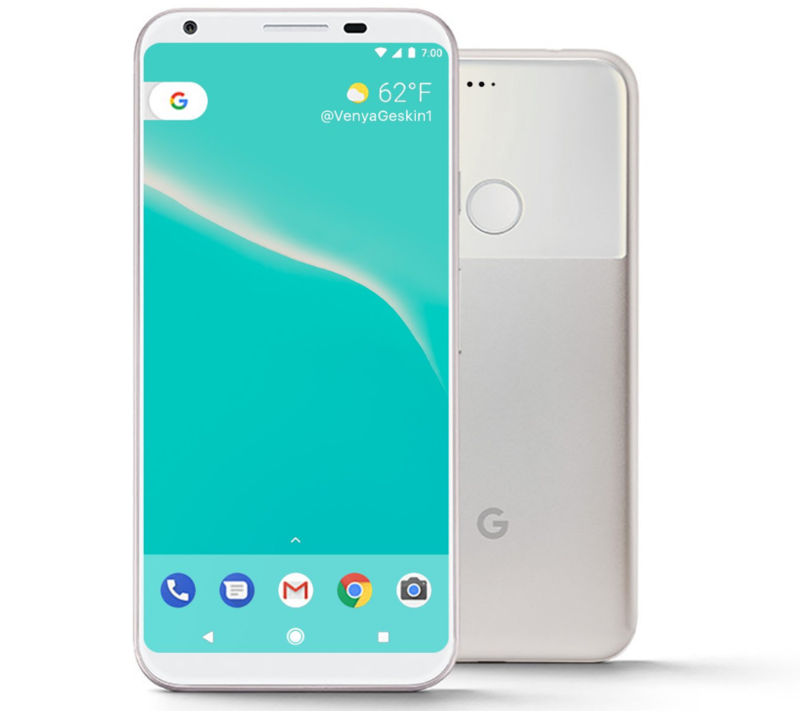 But, looking at more plus points, Google Pixel 2 is an absolute choice for them who love and enjoy Android and its working. Definitely a must buy.